Mr Ramakrishnan age 32 from Athipatti. He was brought up from poor family and used to work as a driver. During his travel to different places he found his love Rajalakshmi age 33 . He married his love and they wer blessed with a 3 years old child now . Suddenly on late 2015 he was diagnosed with kidney failure. His family got broke down and unable earn money for his daily wages. 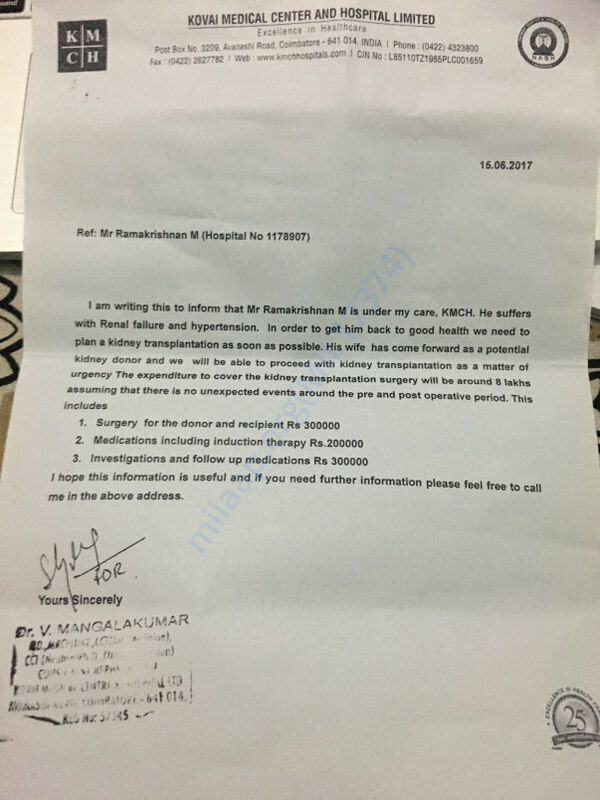 His brother supported for his dialysis, days went he became very sick and doctor advised to get back his health by getting his kidney transplanted as soon as possible. It's been 2 years now and his mom and dad had come for volentary kidney donor, since they are diabetes they wer unable to donate. Now her wife has become the potential donor. Sice they both need to work for their daily wage and dialysis need, her wife Woking as Taylor and they are very strict with her leaves and threatening her that if the leaves are gonna continue she will be sent back to home and Mr Ramakrishnan, once back from dialysis he work as a night watch man in Coimbatore. In order have their daily wage the family is undergoing risky days just to get back to his normal life. Once I came to know about him, my friends suggested milaap crowdfunding, for his live kidney transplant expenditures. 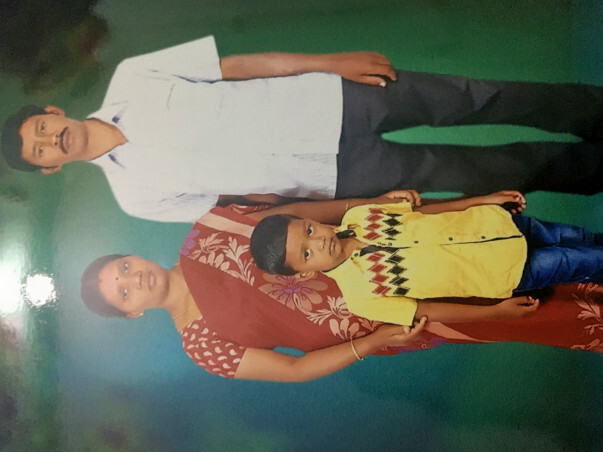 Kindly help Ramakrishnan to get his normal life. Ramakrishnan has completed the pre transplant work and got a potential donor as his wife. Once he gets some funds, he will plan his surgery.